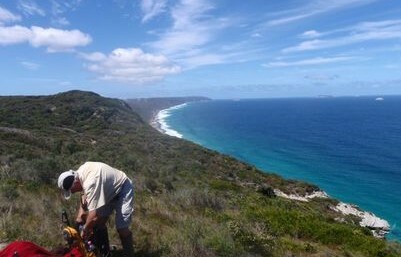 Home | Western Australia’s Hiking Bucket List. Top 5 hikes in WA. Western Australia’s Hiking Bucket List. Top 5 hikes in WA. So we already have our list of the Top 5 Day Hikes but now it is time to debate the longer walks. The criteria is simple. A walk of more than one day. Now I know that some of you out there in internet land are capable of walking 50 kms in a day, whilst carrying a VW beetle on your back! – this list isn’t for you. We tend to take a more leisurely approach. 20km a day is more our pace. Some of the walks require camping though, but they are all spectacular! This walk offers some amazing views along the coast for minimal effort. It is reasonably easy going, solid underfoot and manageable distances at 78 kilometres over about 5 days. It is possible to do this as an accommodated walk, or stay in the Bibbulmun Track huts. The wildflowers down this way September through November are superb and the views along the Albany sea cliffs are just amazing. One of the most talked about tracks in Australia and for once the hype is justified. 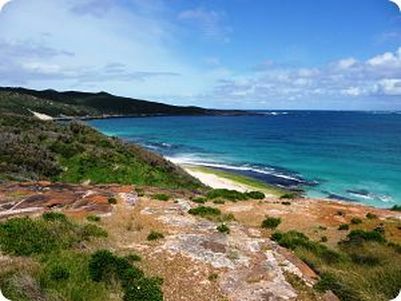 Pristine beaches, red granite outcrops, karri forest and towering cliff tops. At 135km (best over seven days) this walk can be done either camping or accommodated. There are a few sandy beach sections which pose a reasonable challenge, but for the most part the track is excellent and it is pleasant strolling. One of the most diverse walks you are ever likely to do. In seven days you will go from wetlands to tingle forest to beach to coastal heath to karri forest, up a mountain and then into a town. There is a canoe crossing, the showgrounds and some of the prettiest beaches imaginable. Not for the faint hearted, this is a reasonably challenging walk at 125 kilometres. Possible to be done either by staying in the Bibbulmun Track huts or by getting extracted each day (and staying in a proper bed) or come with us! Nothing short of amazing! And you are almost guaranteed to have it all to yourself. Imagine the walk was an arm, complete with a dog leg at the elbow. Continue up to the palm of your hand and set up camp. The next day you then have five fingers (gorges) to explore from your base camp. Each gorge is different and equally spectacular and we definitely recommend taking three days. It is only 30 kilometres return, but the ground does get quite rocky. There is water (usually) at Black Rock but speak to the people at the visitors centre to learn the latest conditions. This doesn’t have to be an overnight walk as it is up and back, but definitely worth the extra effort to get past the elbow. Why do the best ones have to be so hard! 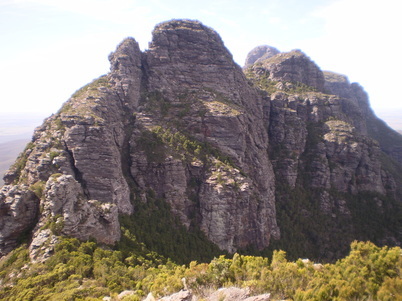 From Bluff Knoll to Ellen’s Peak, this has got to be the best multi day hike in Western Australia. It is a serious challenge though. Allow three days. In this sort of terrain, the number of kilometres is not worth mentioning as it is only a distraction. There are no facilities on this hike. There are a couple of unofficial campgrounds but you will need to bring everything with you, and everything out. AT Morphet’s guide book is essential reading, as is a stay at the Stirling Range Retreat who will help you out with the somewhat challenging logistics. Is all of the pain worth it? Yes. It is simply awesome. 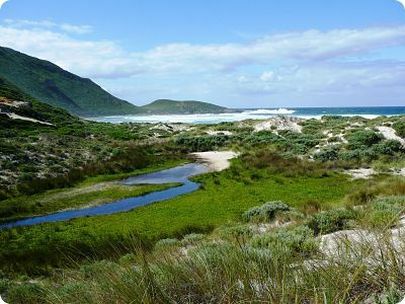 So there we have our list of the Top 5 Multi day hikes in Western Australia. We would love to hear from you if you have done, or are looking to do any of these walks. Please leave your comments below. Sign up to our monthly newsletter then download our free guide. Lots of hints and tips for the casual bushwalker. Is there anywhere to do overnight hikes other than the Bibbulman track? All of the above are managed by DPaW (except the Numbat trail) and it’s illegal to camp overnight on land managed by them except in designated areas. Hi Fayley, both the Stirling Ranges ridge walk and Piccaninny Creek walk do not have designated camp grounds. That said, we are in big favour of designated camp grounds as they contain the impact on the environment to one area. Have fun! I first did the ridges climb the year after it was first discovered in the 1970’s and I still recommend an experience guide.Camp as the indigenous did. Be good stewards, communicate wise bush knowledge (best places to camp)and keep the decision making with the person in the bush at all times, don’t defer to a brand or body or good meaning association in the city. I too would like to do an overnighter, you know hubby drop off somewhere (near Perth) and we walk all day, sleepover in a humpy and walk to where we need to be collected the next day, not necessarily the same start point. Is there something that you can recommend for this? 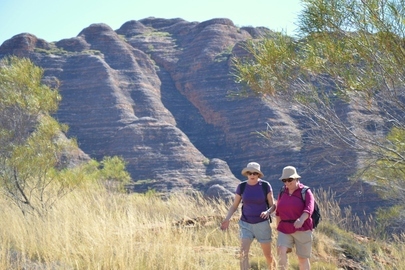 Hi Karen, there are dozens of options for this sort of walk.The best option is to do small sections of the Bibbulmun Track as there is great infrastructure for overnighting out in the bush. There are the hiking shelters, campgrounds and toilets every 10-20km (depending on where you go). For a full list of options, I would purchase the trail notes from the Bibbulmun Track Foundation or just look on their website. If you would like a recommendation, I would suggest getting dropped off at the Brookton Hwy and Walking to Sullivan Rock. Its a big walk, but achievable and really cool. Alternatively Kalamunda to the Hill Forest Discovery centre is a good one. You will need the maps and trail notes to find the exact drop off/pick up points, but it is all easy to find. Have a great time, we would love it if you could report back. Your website whetted my appetite to hike in Stirling Range. I am arriving for late October, landing in Perth October 12th. Due to my age, I may not have the strength to carry a heavy pack end to end in the Stirling Range on the Bibbulmun Track, so this gives me options to see it on day hikes and the 3 day backpack mentioned. I have backpacked in the American Rocky Mountains in many treks. Are there van shuttles and rideshares since left handed driving may be scary for me? I will email you with some options. Standby! 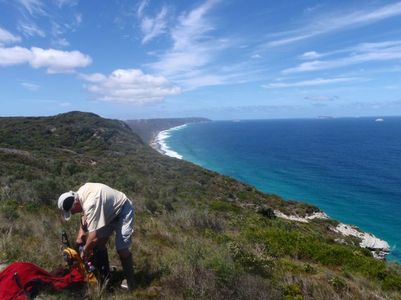 We offer guided and self guided walking tours through Western Australia's most beautiful natural areas. For those who prefer a little comfort on their walks. Excellent home made food, comfortable accommodation. No heavy backpack. How hard are the walks? How old are most Inspiration Outdoors’ guests? Are your walks just for ‘bushwalkers’? Sign up to our monthly newsletter and then download our free guide to (almost) everything you need to know about bushwalking in Australia!